The baton is finally passing to a younger generation in Egypt, at least when it comes to the National Council for Women (NCW). 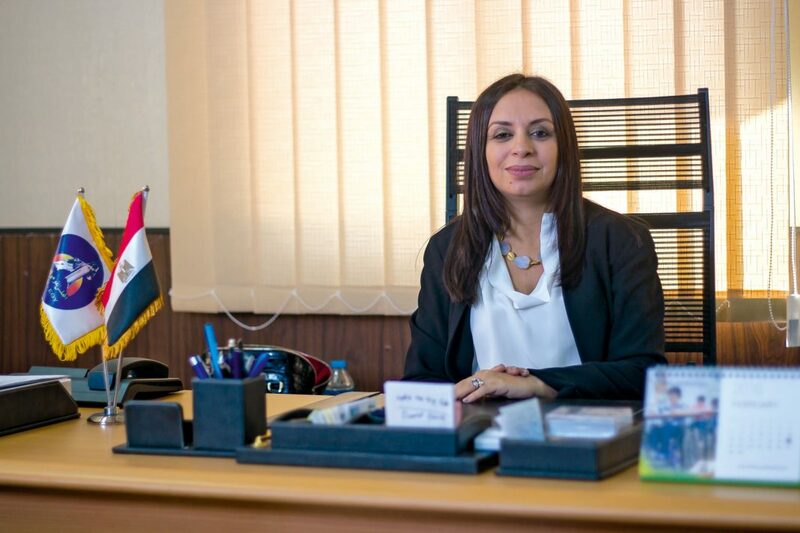 The recent election of Maya Morsi, who is in her early forties, as President of NCW is truly a milestone not only for the council but for the advancement of Egyptian youth in general. 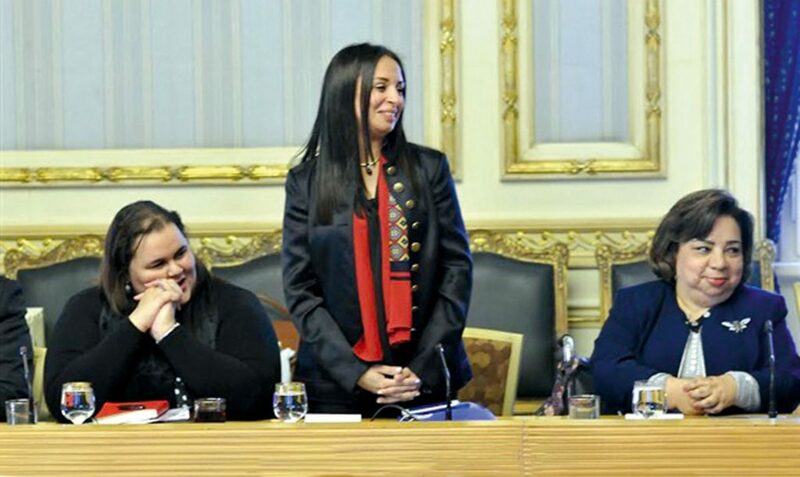 Maya Morsi’s youthful energy has brought a welcome breath of fresh air to the higher echelons of Egypt’s bureaucracy. eniGma’s Chairman, Samia Farid Shihata, met with the dynamic new President of NCW and learnt about her amazing journey to this prestigious position, and her plans for the advancement of Egyptian women. Given their central role in the family, which is the building block of any society, it should come as no surprise that development circles are convinced that women are the key to unlocking a society’s potential. That’s why it’s so important to place women’s issues at the center of any coun-try’s agenda for economic and social development. Maya Morsi understands that so well. 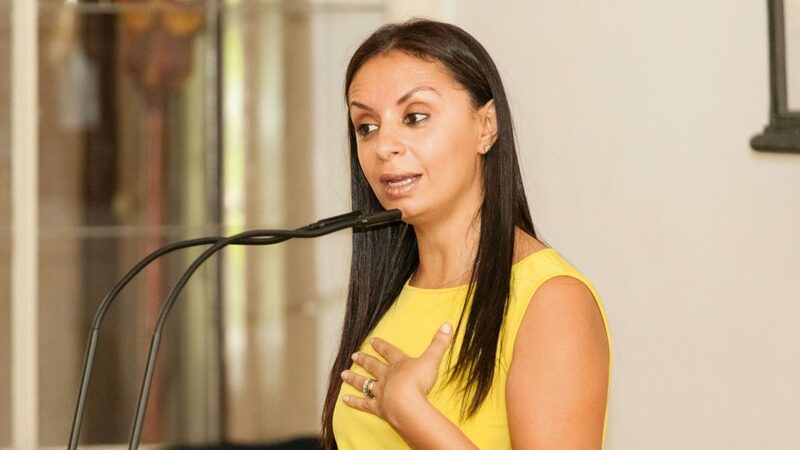 Ever since she graduated from the American University in Cairo in 1995 with a major in Political Science, she’s been steeped in grassroots development and women’s empowerment issues. She knows what works and how to go about doing it. She has a unique mix of experience, at the grassroots level, in policy formulation, as well as in advocacy. Morsi’s career path provides inspiration on a number of levels. Young people can take note of how, upon graduation from university, she did not wait around for a job opening to come her way. She immediately headed to the Cairo offices of UNDP and asked to join as an intern. “I did every job that you can imagine,” she recalls, “ I wanted to learn as much as possible and to meet as many people as I could.” After two years of interning she was assigned as team leader to a huge capacity building rural development project, that involved working with 27 governors in the country’s 27 governorates. Morsi is quick to note that she owes this amazing opportunity to her mentor and guru in development, Seheir Habib, who held a key senior position at UNDP at the time, and is now an independent consultant. Morsi recalls, “She gave me this opportunity even though I was so young. I am forever indebted to her. For three years, I got to know Egypt at the grassroots level, learning what is needed in towns, villages, and hamlets. I also got tremendous political exposure working closely with Egypt’s governors. This experience shaped my career.” Since then, Morsi has followed her mentor’s example, assigning a high importance to giving young people the opportunity to develop their full potential. Morsi later moved to a portfolio on women’s empowerment, and continued to focus on women’s issues, then went on to head the United Nations Development Fund for Women (UNIFEM) and UN Women in Egypt. Prior to her appointment at the NCW and her subsequent election as President, she had risen to the regional post of gender team leader in the UNDP Arab Bureau for 22 Arab countries. How would you describe the mission of the National Council for Women? The Council’s mission is to advocate for and support women’s rights and gender equality. We work closely with the government to push the women’s agenda on the political level and to mainstream women’s needs in the sectorial plans of the ministries. We also work with civil society, namely the women’s movement on the ground, to bring their voices up to the government level. We cannot function without the women’s m ovement on the ground, and of course, on the government side, there has to be a political will to advance women’s empowerment. Today we can see a strong political will coming directly from the President to whom we report directly. What are the NCW’s tools to advance the women’s agenda? First, we have the 30 Council members appointed by the President. This is our think tank and our core group. Then there is our technical secretariat (400 employees), which is our implementation arm. We rely on the strong coordination between our 30 members and the technical secretariat. We also have a network on the ground consisting of 27 branches all over Egypt; an Ombudswomen office which receives complaints from women; and a women’s business centre that supports women entrepreneurs. We also have equal opportunity units in ministries, reporting directly to each minister and helping plan the ministry’s agenda for gender equality and following up on our recommendations. We’ve also restablished a network of rural women leaders (ra’edat reefiyat) and NGOs on the ground. This could eventually lead to the formation of a union for rural women. What are the main achievements of the NCW since its establishment in 2000? The legacy of the first ten years of the Council is very strong. It includes important legislative achievements like the law granting nationality to children of Egyptian mothers, the Khul’ divorce law, the child custody law, and the women’s quota for Parliament. During the post revolution years, at first the focus was on the preservation of previous gains and on preserving the Council itself. I think the Council was very successful in this difficult task. Next, the focus was on maximising women’s rights in the new constitution and here, the gains achieved were unprecedented. There are over 21 articles in the constitution on equality for women. The constitution also included affirmative action for women in the current parliament, and we have 89 women in parliament today. A 25 percent quota for women was also included for the upcoming local councils or municipalities. So we are expecting 13,500 women in the upcoming local councils. At this stage, our goal is to institutionalise the achievements we have in order to ensure sustainability. First we will be working closely with members of parliament, particularly the women, to make sure that women’s gains in the constitution are translated into laws. The women’s agenda also has to be embedded throughout the current system. With today’s strong political will and the momentum created by women’s strong political participation in the past few years, there’s a window of opportunity to push the women’s agenda forward; to gain as much as possible and to institutionalise as much as possible. What do you think are the most pressing issues facing women in Egypt today? The economic issue is the most pressing. Support should be directed to the economic empowerment of women, reaching out to the poorest of the poor, and the 30 percent female heads of households. Ensuring that these women have the support of the government is a pressing need. There are many NGOs working with women in villages to help them become economically self sufficient. What do you think is needed to strengthen these initiatives? To have an impact, pilot projects need to be scaled up. However, we need a vision for the successful scaling up of the different pilot projects being undertaken by NGOs. The vision must insist on a disciplined methodology for project documentation and evaluation. The steps of the project have to be well documented so that the project could be tailored to other areas. I am optimistic about the project being undertaken by the Egypt Network for Integrated Development (ENID) in Upper Egypt, which I was involved in at the start. I believe that with the proper documentation of all the steps of its “one village, one product” projects, and with proper impact evaluation, ENID’s pilot projects have the potential to be upscaled to a national initiative. A personal question. As a professional woman how do you manage to balance your family commitments with the demands of your work? Let me start by saying that I don’t think it is possible for a mother to leave the home without a guilt trip! But with the support of the husband, this is minimised. I owe 100% of my ability to maintain this balance to the support of my husband. You have two young boys. How are you teaching them women’s equality with men? From an early age my boys had to enter the kitchen and to do many things themselves around the house. They don’t expect mother to do everything for them at home. I am hopeful that when they grow up, my boys will not expect their wives to do everything for them.